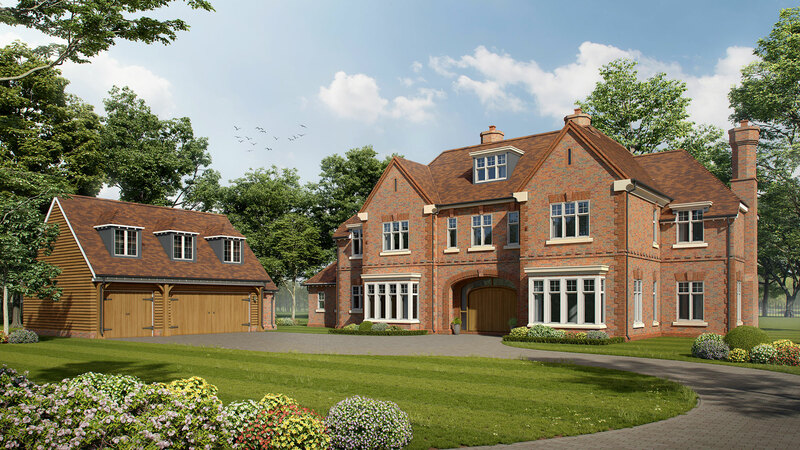 A luxury 6 bedroom property extending to 8000 sqft with stunning views of the Surrey Hills. Located on one of Farnham’s most prestigious roads – part of the highly desirable Moor Park estate, one of Farnham’s most sought after addresses. Perched on the ridge above the valley of the River Wey within an area designated as being of Great Landscape Value, Moor Park was laid out in the 1930s, and is renowned for its fine Arcadian villas and substantial properties in significant garden settings. Lined with mature trees, natural grass verges and hedgerows, with most houses secreted behind private gates, the road’s dense planting and overhanging trees create a very safe and reassuring impression.